These special floral arrangements are designed to be placed on a wrist or pinned over your heart. 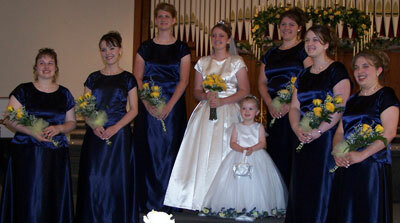 This is a guide about homemade corsage ideas. Boyfriend corsages or a corsage that displays a photo, are wonderful for school dances, anniversary parties or special banquets. They are an easy craft for teenagers and they make great school fundraisers. They are a wonderful keepsake and can be displayed long after the event, attached to a curtain or pillow. Approximate Time: A few hours, including drying time. Scan a photo you would like to use onto your computer and reduce it's dimensions to 1 inch square. Print the picture on ordinary copy paper and trim to size. Printing stores can also copy and crop pictures, just make sure you request it be done on copy paper. The center of the corsage is created with a 1 1/4 inch flat clear floral gem. Using a paint brush, apply Mod Podge to the back flat surface of the gem. Place your photo face down into the Mod Podge. Continue to adhere and seal the back of the picture with a layer of Mod Podge. Set the gem aside to dry. The Mod Podge will dry clear. Cut 10 pieces of 1 1/2 inch wide gingham ribbon, 4 inches long, in the color of your choice. Fold one ribbon in half matching the short ends. Do not crease the fold. Sew a running stitch with needle and thread along the short ends, connecting them. Do not cut or knot your thread. Repeat on the same thread with the remaining ribbons. When you come to the end of the last ribbon, take a stitch in the beginning of the first ribbon to form a ring. Pull the thread tightly to gather the short ribbon ends. Knot and cut the thread. Lay the gathered ribbon flat. Pop the head of a 2 to 3 inch silk flower off it's stem. Remove the plastic backing and the top center of the flower. Hot glue the centers of each petal, one at a time, on top of the gathered ribbon center. Apply hot glue to the back of the dried photo gem and place it in the center of the last petal. Cut two pieces of 1/4 inch wide grosgrain ribbon, 18 inches long, in a color that matches your corsage. Match the two 18 inch lengths together and tie them into a simple bow that is 4 inches from loop end to loop end. Apply hot glue to the back of the knot on the bow and place it on the gingham ribbon underneath the petals and centered below the photo. Cut a 1 inch circle of felt and hot glue it over the gathered ribbon on the back of the corsage. Apply craft glue to the back of a 1 inch pin back. Set the pin back on the top edge of the felt circle and allow it to dry. When we did the flowers for my daughter's wedding, we asked a friend who was talented as making bouquets, corsages, boutonnieres, etc. She did a wonderful job. We were able to save a lot of money because we bought the flowers fresh, right off the floral shop's delivery truck. This is a sample of what we had that day. These were live flowers. Small mum with ribbons, charms, etc., just like their high school friends. This can also be used for a boy's garter. For safety, I make these on a garter so there are no pins. They can also be used for a boy's garter in highschool. Bells can be used for the high school boys I have left these off of the child's version. Pull stem from mum. Glue mum to card stock circle slightly larger than mum. Glue might be needed between mum layers if they start coming apart. Glue ribbons between mum and cardstock in length needed for child's size, usually about 6 inches. These are also in your school colors. Glue garter to back of cardstock. Now the fun part, glue charms to ribbons and onto mum. Glue curling ribbon to cardstock and into mum. I was wondering if anybody knew how to make homecoming mums? You all remember those crazy overpriced dangly things we wore in high school? Now it's my son's turn to buy one and I was hoping to make one to save some money. Any ideas? Check out your local craft store. They're really simple to make and you can put as much or as little on in decorations. Best part is the only tool you need is a hot glue gun. I know our local florist's charge and arm and a leg, but with 2 boys that played football the mum factor came to me for their gf's. Good Luck! The flower is called a china mum. 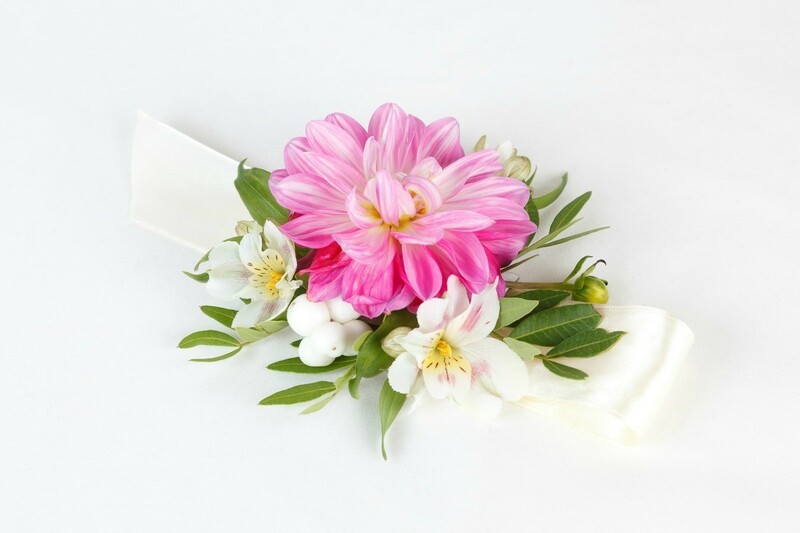 The corsage is just one flower with a standard floral bow and a bit of net like any other corsage. If you do a google search, there are several sites that pop up. Here are a couple of them. Find a local florist to make them for you. In our area, they go for about 8.00 and are beautiful. They are made very well and you don't have to worry about the time it takes to get all the stuff and make them. They are very time consuming. 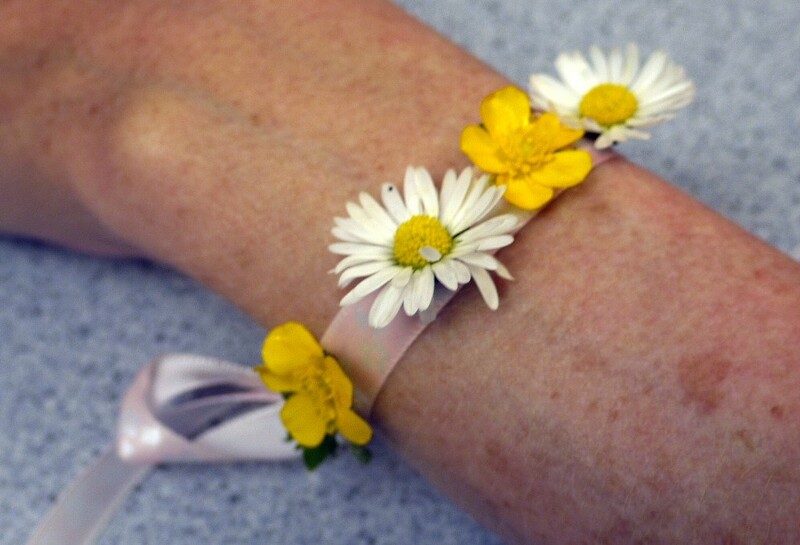 Using seasonal wild flowers, you can make this quick and easy wrist corsage. This is a guide about making a wild flower wrist corsage. 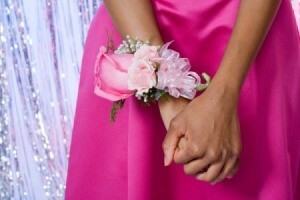 A corsage wristlet is usually pretty easy to slip over the wrist but if it is too loose it may need to be pinned. 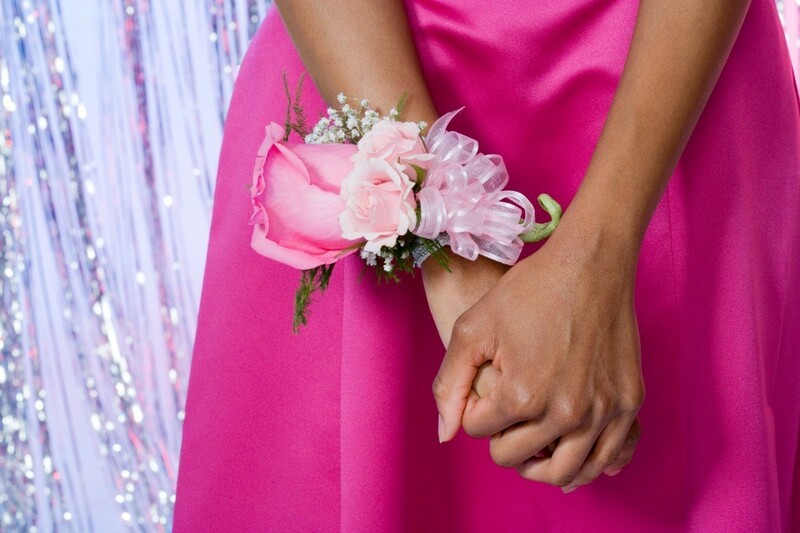 This is a guide about attaching a corsage to wristlet. 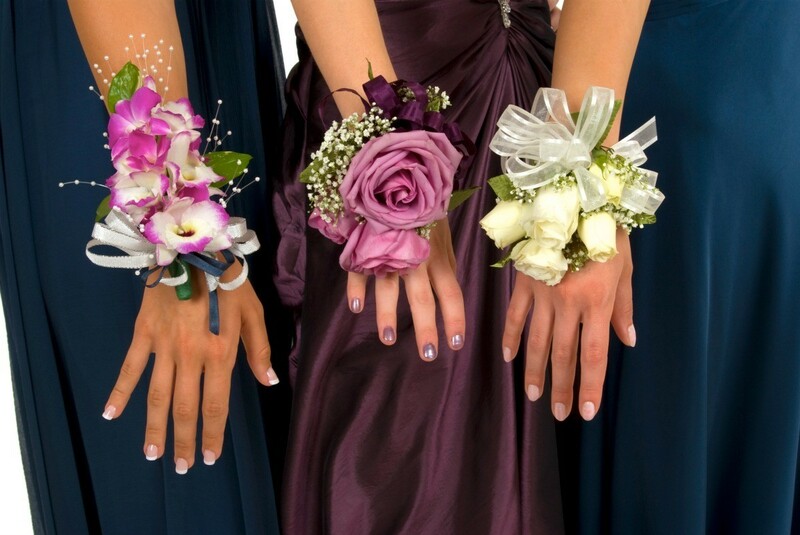 If you can find the wristlets at either a florist or craft store it provides a good starting place for your corsage. This is a guide about making wrist corsages. 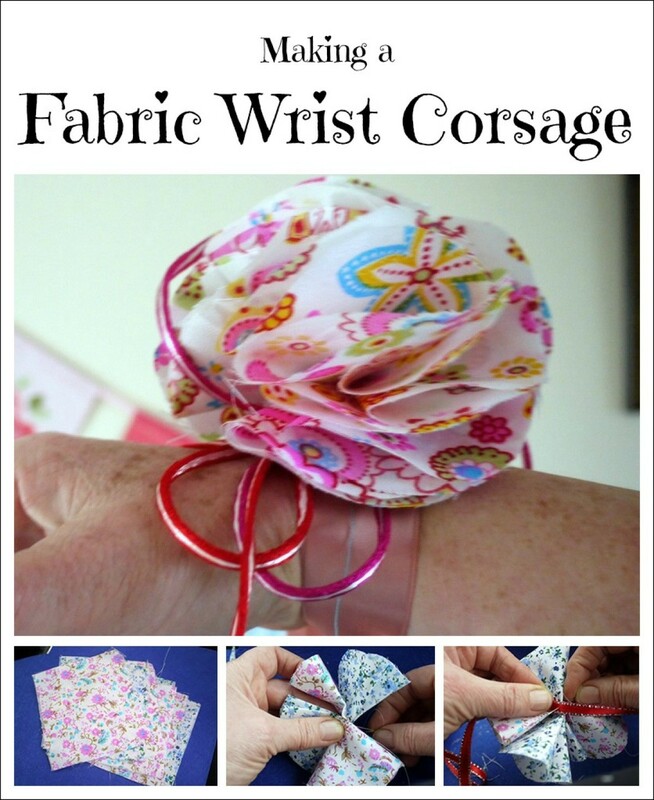 This is a guide about making a fabric wrist corsage. You can easily make a beautiful fabric wrist corsage to coordinate with our outfit. This is a guide about making a birthday candy corsage. 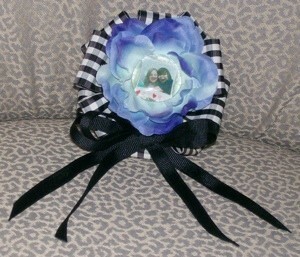 A unique personalized corsage can be a lovely birthday gift idea.